We use 4 bar-coded cryotubes for each isolate. Each cryotube contains a duplicate in cryopreservative (5% DMSO and 35% glycerol) and each pair is stored separately in two different -80 °C freezers. 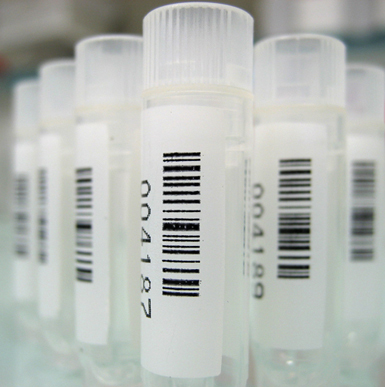 Using bar-coded cryotubes ensures the best traceability and an efficient management of our strain collection. The cryosystems are under continuous surveillance with a Labguard 2™ system.